Dt. Girish Rathi is an experienced Dentist in Murtizapur Road, Akola. He has over 9 years of experience as a Dentist. He is a qualified MDS - Orthodontics . You can visit him at Rathi Dental And Ayurvedic Clinic in Murtizapur Road, Akola. Don’t wait in a queue, book an instant appointment online with Dt. Girish Rathi on Lybrate.com. Lybrate.com has an excellent community of Dentists in India. You will find Dentists with more than 30 years of experience on Lybrate.com. 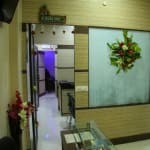 You can find Dentists online in Akola and from across India. View the profile of medical specialists and their reviews from other patients to make an informed decision. I have very pain in my teeth please give some suggestions for minimized the pain. I had cavity in my left premolar last year and I took medication from dentist. Since yesterday I am bit sensation and I checked black cavity still there. I want to know the treatment of artificial molar transplant and home remedies to get relief from pain. Black marks r tooth decay & it has to be filled ,kindly visit us or dentist to get your tooth examine & to know wat treatment to b done. Homoeopathy has good treatment for your problem, without causing adverse effects. Take homoeopathic medicine merc sol 30 daily in the morning and in the evening and give feedback after 6 days. I have gum / tooth pain in the extreme left portion of bottom jaw while eating hard food. Please suggest remedy. You can take lyser-d for pain relief. Also you can start warm saline gargles. Also consult a dentist if the pain doesn't subside. I have been eating tobacco since 2 years. My jaws are like joint I can hardly place 2 fingers and I can not eat a little bit of spicy and warm foods. How can I deal with this. Most likely you are suffering from Oral Submucus Fibrosis. Please visit a Maxillofacial surgeon and would treat you with medicines or might advise you surgery. In the meantime please stop tobacco chewing, smoking, alcohol and spicy hot food immediately. I am very upset with my bad breath pls give some remedy to control this some ayurvedic tips or medicine. professional cleaning of your teeth is required first of all because bad breath develops due to deposition of plaque and calculus around teeth and to prevent this, these layers have to be removed from the teeth. you can use mouth rinses also. properly follow the oral hygiene habits. I am 30 years old. I have pain in my back teeth. I had done rct on this teeth 2 months before. But pain back after 2 months. What can I do. Sir you can have pain in any other teeth or some gum infection but pain after rct should not be there if so go for an x-ray of the tooth problem can be diagnosed. Hi doctor From yesterday there is blood when I spit. This happens only in the morning. Am healthy person No other problem in my Heath. The blood can be from nose or from gums.. or because of tear in the larynx or oesophagus.. to find out the exact cause I need more questions to ask you... So better consult in private. Once I am sure of the cause I will prescribe a good homoeopathic medicine to overcome this trouble as soon as possible.. I need to know which is the best paste for a teenager. I don't have any problem in teeth's just very rarely gum bleeds just a bit and mainly I need a paste for whitening. Hi, teeth getting yellowish, I do brush regularly, hw about suggesting a cure, thanks. Hello, yellow teeth could be because of deposits on your teeth or food lodged in your teeth. Visit a dentist get your scaling and polishing done. Brush twice daily, maintain proper brushing technique, floss regularly and rinse after every meal. Visit dentist every 6 months.